Taking your meditation to another level will provide even more benefits! If you have done well in beginning to meditate daily (or at least several times per week!) you may be ready to try deepening your meditations. Hopefully you have been feeling a lot better and have been noticing things and been more aware of the thoughts that run through your mind. With this new awareness, perhaps you have also noticed you have a more controlled outlook on situations and are better able to find your peaceful place quicker. Not being controlled by your environment is one of the many benefits of regular meditation. Now that you have the base laid, deepening the meditation experience is the next step. When you are ready, consider really making the commitment to going deeper. This may require you to sit and focus longer. You may not want to add on a big chunk of in one swoop. Try adding on a simple 10 minutes every few days or every week. 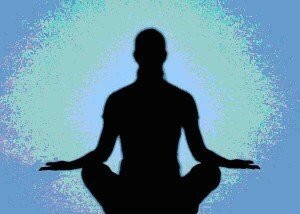 It can also help to be sure and relax your body before beginning your time sitting (or whatever pose you chose). If you are tense or uncomfortable, try to stretch or do a few Yoga poses etc. first. this will allow you to be in a better feeling place before you begin the meditation. The use of a mantra can also help your focus to be more intense. A mantra can also help when you find your mind wandering. When you notice this, return to your mantra and you can quickly get back on track. It is also best to let go of what you think of as ‘you’. I know this sounds strange, but when you are thinking of ‘your’ stuff it can get in the way of any connection with the universe that might be made. So it can help you to let go of any thoughts of who you are and simply let go. Let yourself go into the quiet places of your mind and soul and give yourself over to the experience in general. Following the above tips can expand your awareness of your place in this world. This awareness can bring you a sense of peace and calm that you have never felt before. When you make the effort to just “be” – great things begin to happen that you never even thought of. Now that’s a good reason to meditate! !